I've come to realize the more I talk about eating healthy online the less I do it. That seems to be the theme here. I go back in forth in my head that OH AINT NOBDOY GOING TO TELL ME WHAT TO EAT. UN-UH. Even though it's me telling myself that. Weird, I know. Anyshways, we are doing our third round (maybe fourth, since my bestie Carina is much more on top of things than I am) of A Little Too Fluffy. It's a weight loss competition for the most % of weight loss. It will run May 2 - June 13. Weigh ins every Friday. Winner takes on some cash money, and second and third place too. We'd love for you to be a part of it! It's $25 to join and it will be fun time to be in this little community together. We've got an instagram account, where we will post about how much we miss donuts, recipes, working out, etc. We want to encourage each other, and hold each other accountable. We're in this thing together, ladies. 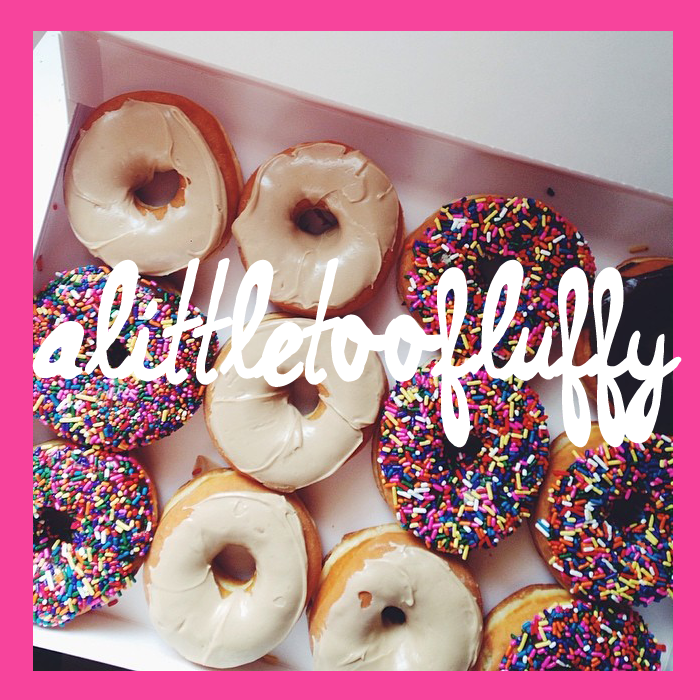 Email us at alittletoofluffy@gmail.com to get your spot! First weigh in is Friday morning so hop to it. 1) I am reading the book, Made to Crave. After glaring at in in my amazon cart for six months I finally took the plunge and bought it. I'm reading things I don't want to hear cause of how true they are. I am processing it all and want to write it all down. I'm scribbling notes at the end of each chapter because it is SO BAD YET SO GOOD. One day I'll put those notes here. 2) I signed up for my second 5K. I ran my first one last year and it kinda changed my life. I've gone in and out of running since then, mostly due to things like horrifying humidity, below zero temperatures, traveling, moving, and adopting a baby. Excuses, yes I know. But I'm in it to win it again. I'm running every other day and getting ready to run my second 5k on May 31. I'm really excited about this one. 3) I took a boot camp class last night that made me feel like my legs are going to fall off. Ya'll ready for this? #alittletoofluffy. ehh yes! ok just emailed. i'm scared, but in. let's do this. oh and i finally got made to crave yesterday!!! ugh, I totally need to do this. I emailed & need to sign up today. The last round helped me to drop 10 lbs. I've not gained since, but haven't lost...think I need some #alittletoofluffy motivation! This is an awesome idea!! If I wasn't pregnant, I would join in. Maybe next time around! I signed up this time! Let's get 'er done! Also? I've got made to crave on my shelf. Started reading it a couple months ago but had to shut it because it hurt too much. Maybe it's time to crack it back open though.